D'Arcy Short will be key to Australia’s chances of a T20 series win. Picture: AFP. AARON Finch says a refreshed Australia won't be weighed down by their Test series defeat to Pakistan when the two sides resume hostilities in the first of three T20s. The first clash, which starts at 2am (AEST) on Thursday at Sheikh Zayed Stadium in Abu Dhabi, comes just days after the tourists succumbed to a crushing defeat in the series-deciding second Test. Finch is one of four players, along with Mitch Marsh, Nathan Lyon and Peter Siddle, who could back up after playing in the Tests. Pace spearhead Mitchell Starc is also in the squad for the three T20s but is highly unlikely to play any part as he nurses a tight hamstring. The group will have spent almost six weeks in the UAE by the time they return to Australia. "There's nine fresh guys that have come into our squad from the Test series so there'll be no baggage from then whatsoever," Finch said. "I'm the only batsman out of the top handful that was here for the Test series so I think in that regard, they're just going to come in and play their natural game." 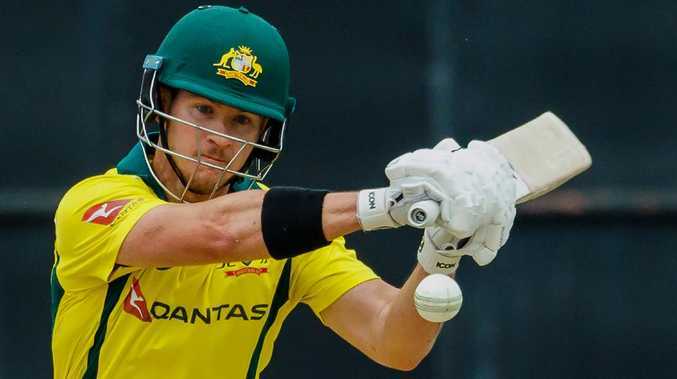 Finch said Australia were yet to settle on their XI for the opening T20 after Marsh, Lyon, Starc and Siddle all sat out Monday's warm-up match against the UAE.